Vinyl Wall Sticker of cute baby playing on the beach. We all love the beach. Our kids love the beach. We all love the sight of the seaside. Our kids love the sight of the seaside. So why not make your dreams come true with Vinyl wall sticker which is child friendly, fun and entertaining. With a wide variety of colours and sizes picking the right preference has never been easier or simpler! 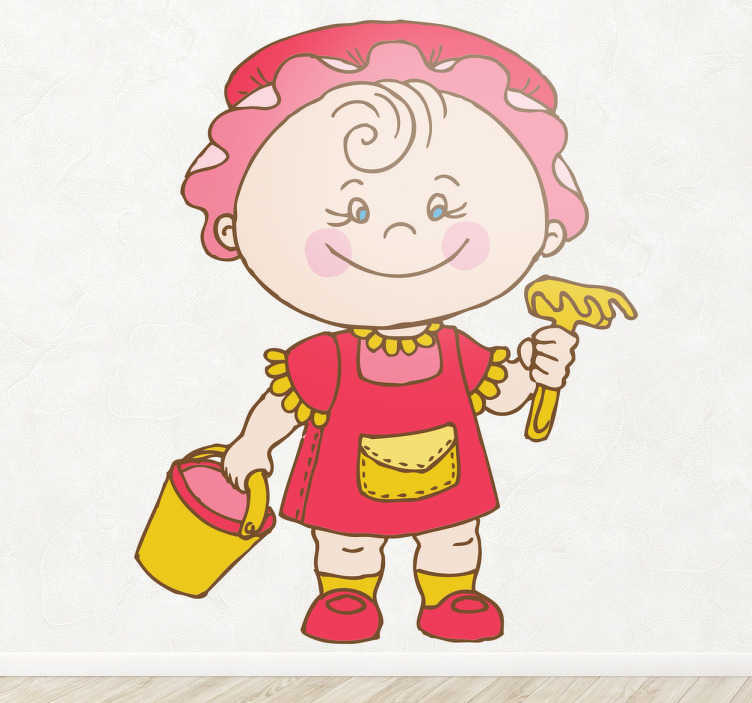 This child wall art decal is great to place on any smooth surface so you can place it wherever you desire, whether it be the fridge, wall, car, wall etc. Being at the beach has ever been so easier!